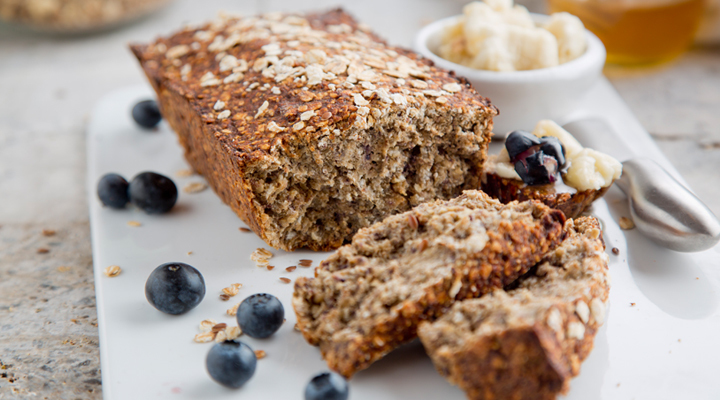 This bread can be used as a pre-training snack or even for recovery with a large glass of milk. together. Mix all the other ingredients together in a large bowl, then pour the wet mixture on top of the dry ingredients and mix well. 3. Transfer the batter to the lined loaf tin and bake in the oven for 50 minutes. Allow to cool on a wire rack, then cut into slices and serve. Tip: You can add more honey and dried fruit if you would like a sweeter version of this bread. Love this bread with cup of tea at night and so handy for kids lunchbox. Love this! Easy to make and best gluten free bread recipe I ve tried. Very easy to adapt with seeds , nuts etc.